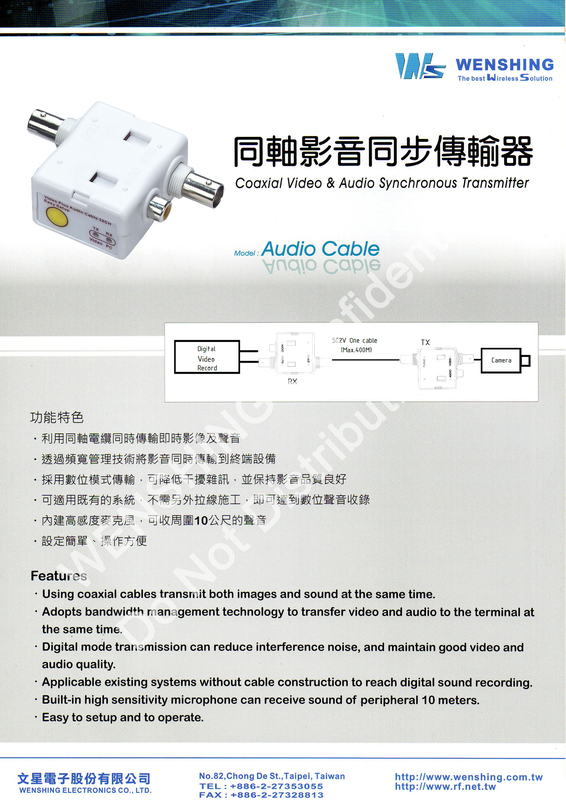 At the same time using coaxial cable transmission of real-time video and audio transmission bandwidth management technology of the video at the same time is transmitted to the terminal equipment using digital mode transmission, can reduce noise interference, and maintain good video quality can be applied to the existing system, without additional cable construction, can achieve the digital sound recorders built-in high sensitivity microphone, can receive around 10 meters sound setting is simple, convenient operation. Using coaxial cables transmit both images and sound at the same time. Adopts bandwidth management technology to transfer video and audio to the terminal at the same time. 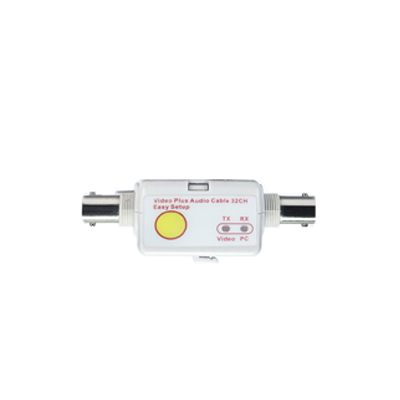 Digital mode transmission can reduce interference noise, and maintain good video and audio quality. Applicable existing systems without cable construction to reach digital sound recording. Built-in high sensitivity microphone can receive sound of peripheral 10 meters. Easy to setup and to operate.